We welcome you to join us at Virginia International University for our Voices from the Field speaker series! To RSVP, please complete our simple form here: http://viu.edu/sed-vff-registration. Active class participation helps students communicate and clarify their thinking, explore new ideas, and build classroom community, as well as supporting academic language development. Too often, however, students fixate on getting the right answer, leading them to speak up only hesitantly. When they do, they often provide minimal responses that give little sense of their thinking and offer little opportunity to engage in complex academic discourse. So, how can teachers encourage a genuine sharing of ideas? Daniel Ginsberg explores this question by examining video recordings of a middle school mathematics class for English learners in which the teacher knows both mathematics and language pedagogy and uses commonly accepted best practices for content-language integrated instruction. Students participate willingly, but still defer to the teacher rather than discussing and advocating for their ideas. Ginsberg argues that, while technique does bring students to participate, we can only foster complex discussions by promoting student agency, which requires us to de-center our own authority to make space for student engagement. Daniel Ginsberg is a PhD in Linguistics candidate at Georgetown University in Washington, DC. To learn more about participating in Voices from the Field, please contact Kevin Martin (Director of the School of Education) at kevin@viu.edu, follow us on social media @SEDatVIU and @TESOLVIU, or visit the School of Education’s website at www.viu.edu/sed! For information on our upcoming sessions, click here. Many of our previous sessions are recorded and made available through our website here. Registration for the event is requested. Dr. Lester maintains an active research agenda that examines: gender equity in higher education; retention and transfer of community college students; non-positional leadership; and organizational change. She has published articles in the Community College Journal of Research and Practice, Community College Review, Journal of Higher Education, Liberal Education, National Women’s Studies Association Journal, Review of Higher Education, and NEA: Thought & Action. 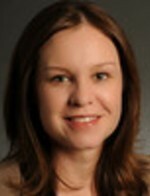 She serves on the editorial board of Community College Review. Dr. Lester has four books on gendered perspectives in community colleges, family-friendly policies in higher education, ways to restructure higher education to promote collaboration, and grassroots leadership and change in higher education. She is currently completing a book on workplace bullying in higher education. This event is free and open to all VIU students, staff, and faculty, as well as members of the surrounding community. To learn more about participating in VFF, please contact Mr. Kevin Martin at kevin@viu.edu. Follow us on social media @SEDatVIU and @TESOLVIU and visit the School of Education’s website at www.viu.edu/sed. Previous VFF event recordings can be found here. The phenomenon called the “Jerry Maguire effect” is based on a study that found that we really do begin to form an impression of a person’s personality from the first word we hear them utter. What are the first impressions about instruction students are getting? What implications does this have for student achievement? What if the first words a teacher uttered about content were, “What’s going on here?” Would students be engaged? Would they achieve? Problem-based learning (PBL) begins with an ill-structured problem to capitalize on students’ curiosity from the very first moments of instruction to maximize their content acquisition and engagement. Hear how PBL can be used to produce increased achievement and satisfaction with the learning environment. This is an excellent professional development opportunity for faculty and will touch upon topics and practices that are applicable to all educators. Please feel free to pass this opportunity along to others who may be interested! To learn more about participating in Voices from the Field, please contact Kevin Martin, Associate Dean of the School of Education, at kevin@viu.edu. You may also follow us on social media @SEDatVIU and @TESOLVIU or visit the School of Education’s website at www.viu.edu/sed. Many of our previous sessions are recorded and made available through our website here. Our guest speaker will share his expertise in teaching online in distance and hybrid environments, illustrating best practices in the design, delivery, and management of online courses, and explaining how to prepare for the transition from face-to-face to online teaching and learning. Gorky Cruz is the Director of CLEAR (the Center for Language Exploration, Acquisition, and Research) at American University. He has a BA in Romance Languages and an MA in Hispanic Literature from The City College of New York (CUNY), an MS in Applied Spanish Linguistics from Georgetown University, and an MA in Educational Technology Leadership from The George Washington University. Previously, he served as a Senior Administrative Officer and Project Coordinator at the Center for New Designs in Learning and Scholarship at Georgetown, where he also worked for several years in the Language Learning Technology Center. He has taught both French and Spanish as foreign languages, and his interests include language acquisition, translation, interpreting, and the role of technology in facilitating and enhancing language instruction. Many of our previous sessions have been recorded and are available through our website here and here. ESL professionals are often presented with opportunities to collaborate with colleagues for a variety of purposes and in a variety of ways. One common way is for instructors to collaborate on the creation of course materials and conference presentations, and at times those collaborations can lead to more formal projects such as producing formal materials for a program or for a publisher. In this session, the presenters will describe two different publishing experiences: one multi-year project as co-writers of one level of a new multi-level hybrid/blended textbook series, and another one-year project as a team writing one component of a revised integrated skills textbook series. How does one find a “way in” with a publisher? What do you need to do when formally submitting a proposal for a publication? What should you know about contracts, timelines, and compensation? At the publisher level, who is involved in your writing and publication process? What are the challenges of materials writing for publication? What are the rewards associated with materials writing? What are the trends in ESL textbook writing today? Sigrun Biesenbach-Lucas is a Senior Instructor and College Applications Advisor in the Intensive English Program at Georgetown University where she received her MAT in TESOL and PhD in Applied Linguistics. Before joining the faculty at Georgetown in 2006, she taught in the TESOL Teacher Training Program at American University for eight years. In 2006, she was recognized as a World Teacher Honoree for outstanding teaching by TESOL. Dr. Biesenbach-Lucas is a member of several professional/academic organizations, among them TESOL and AAAL, and was the Local Chair of the 2008 AAAL Convention. Additionally, she serves as a site reviewer for the Commission for English Language Program Accreditation (CEA). 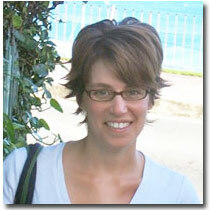 She has presented at numerous international, national, and local conferences and has published in Language Learning & Technology, Computer Assisted Language Learning, and the Journal of Asynchronous Learning Networks, among others. She typically teaches advanced reading, writing, and research courses and enjoys creating integrated-skills and task-based teaching materials. Donette Brantner-Artenie is a Senior Instructor and Lab Coordinator in the Intensive English Program at Georgetown University where she has been teaching since 2000. She holds an MA in Applied Linguistics from Ohio University. With over 20 years of experience, she has taught English at Ohio State University and Ohio University in the US and at the high school level in Romania, where she was a Peace Corps Volunteer. She has also conducted workshops for teacher-trainers in Togo and Romania. Ms. Brantner-Artenie typically teaches advanced reading, writing, research, and grammar courses, and she coordinates the EFL Labs at Georgetown. 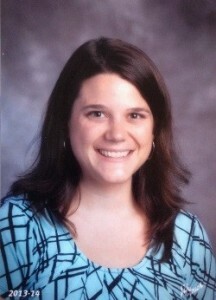 Her interests include instructional technologies, content-based learning, and academic English. She and Dr. Biesenbach-Lucas recently co-authored a new textbook, Next Generation Grammar 4, published by Pearson. This event is open to all VIU students, faculty, and staff, as well as members of the surrounding community. To learn more about participating in Voices from the Field, please contact Kevin Martin (Director of the School of Education) at kevin@viu.edu. Follow us on social media @SEDatVIU and @TESOLVIU and visit the School of Education’s website at www.viu.edu/sed! Virginia International University’s School of Education welcomes all to join us for the November event in our Voices from the Field speaker series: a presentation entitled Imagination, Creativity, and Ego-Strength. This presentation is applicable to education, business, and any field that requires 21st century skills. Dr. Cadle is a progressive global CEO and educator with proven success in delivering increased stakeholder value by implementing innovative services, technologies, operational discipline, and strategic business planning. He draws upon an international background in teaching and training, innovative brand messaging, and thorough financial analysis to drive strategic initiatives, facilitate sustainable growth, and expand organizational capability. He inspires confidence with board members, senior executives, and program participants in educational, nonprofit, and for-profit environments. As a cross-functional motivator, he has had significant success in recruiting, cultivating, and leading high performing teams in start-up, turn-around, high-growth, and underperforming organizations to meet and exceed strategic goals.Our guest speaker, Dr. Chuck Cadle, is the Chief Executive Officer for Destination Imagination. A technology visionary, global entrepreneur, educator, author, and banker, Dr. Cadle is probably best known for his passionate leadership and advocacy for 21st century learning. He has demonstrated a lifelong commitment to promoting global tolerance, teaching creative and critical thinking, and facilitating the transfer of 21st century skills through effective curriculum design and instructional techniques. His combination of business insight and practical knowledge has enabled him to teach students and adults how to facilitate change, to manage projects, to initiate and improve programs, products, and services, and to develop highly functioning teams of volunteers and staff. His leadership style is transformative and collaborative.